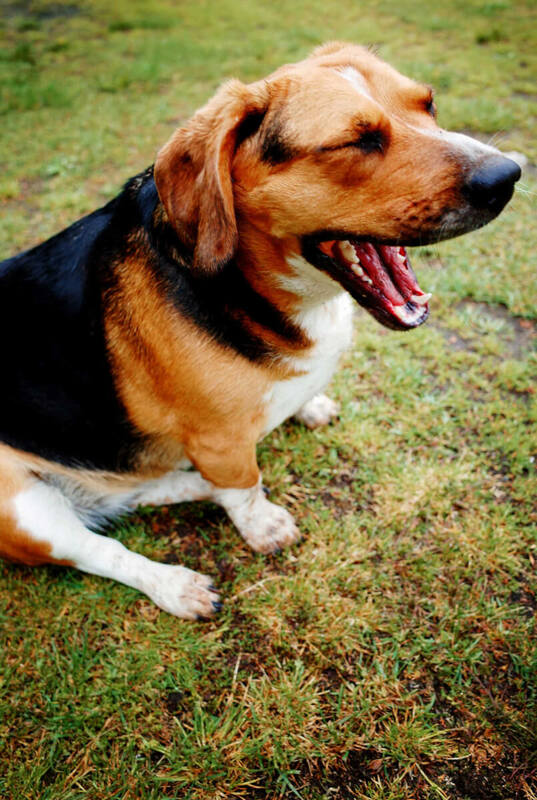 The Bagle Hound is a hybrid dog which is bred by crossing a Basset Hound with a Beagle. As a hybrid dog breed, the Bagle will inherit both physical and behavioral traits from the Beagle and the Basset Hound. Not all Bagle Hounds will inherit the same traits which means some Bagles will look and act like Beagles while others may be more similar to Basset Hounds. 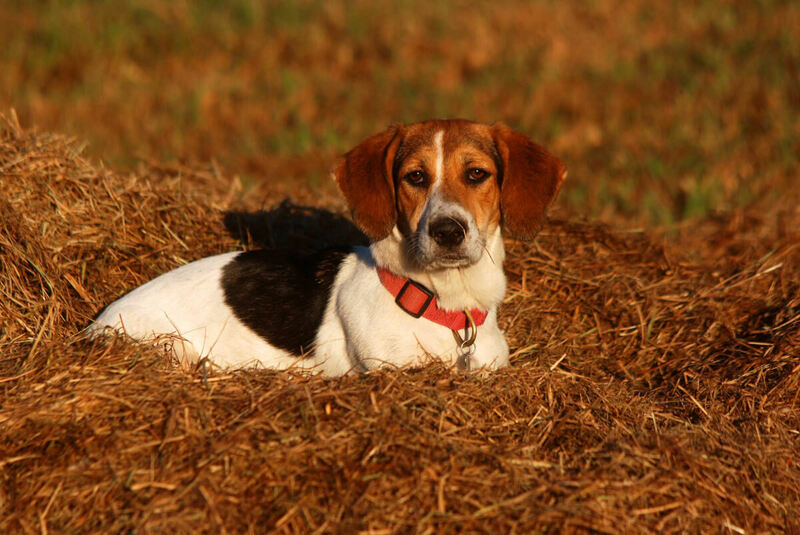 Behavioral traits strong in both the Beagle and the Basset Hound are most likely to be seen in the Bagle Hound. 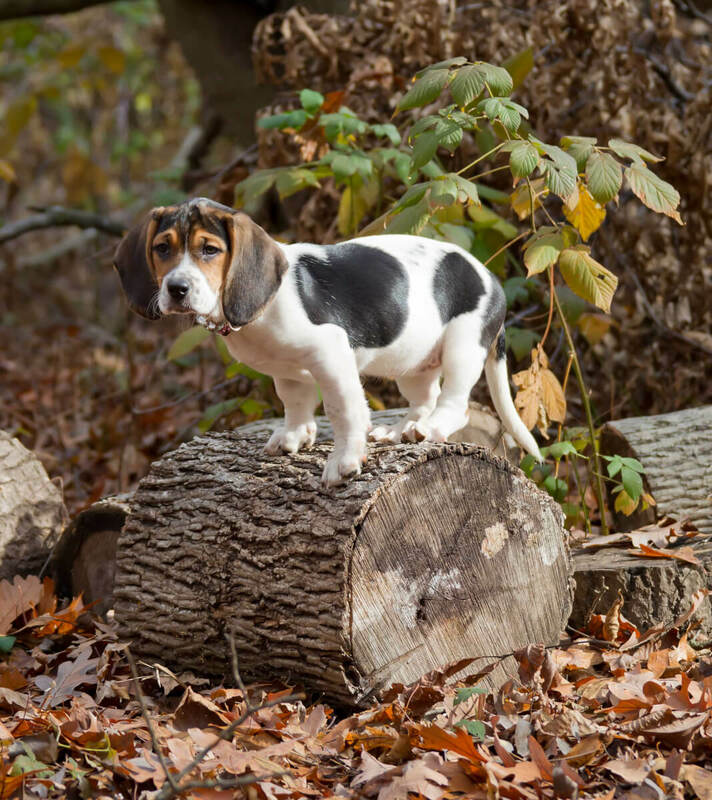 However, some Bagle Hounds will inherit more traits from one parent breed so it is recommended for future owners to research both the Beagle and the Basset Hound before adopting a Bagle to get the full understanding of how their Bagle Hound may act or behave. 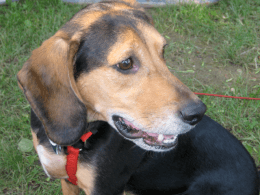 Below are details and specs of the Bagle Hound dog breed. The Bagle Hound is a medium to large sized dog breed. While they weigh between 20-65 pounds they are only 12-16 inches tall due to their Basset Hound genetics. Their proportions can make them prone to back issues so owners will need to handle them carefully when carrying or transporting them. It should also be noted that their short legs make it difficult for the breed to swim easily, so deep water should be avoided. You can expect the breed's temperament to be calm, mild mannered, and pleasing. 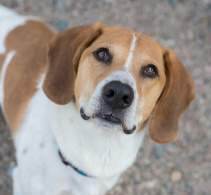 They should make excellent family companions for those with children and/or other pets, however it is recommended to socialize them with kids and other animals while the Bagle Hound is still a puppy. Bagle Hounds will have a short coat which should be easy to keep clean, however since they are low to the ground they are more prone to getting dirty. The breed is considered a low to medium shedding dog (depending on which coat genetics the Bagle receives from its parents). Brushing the coat twice weekly should keep the coat free of loose hairs and prevent dog dander from accumulating on furniture. Since the Bagle Hound is a hybrid dog, the breed doesn't have a detailed history. The breed was likely first intentionally bred in the 1980-1990's when the popularity of crossbreeds increased. The Bagle Hound will have physical features from both the Basset Hound and the Beagle. 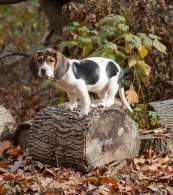 Not all Bagles will look alike as some may inherit more Basset Hound traits and others more Beagle characteristics. Because of this it difficult to predict the Bagle Hounds size and appearance, however it is very likely that the breed will display traits common in both the Basset Hound and the Beagle (such as a short waterproof coat and long ears). 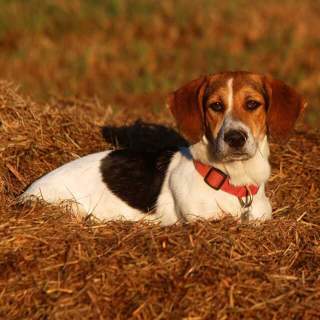 Due to the variety of color patterns in both the Beagle and the Basset Hound, it is unlikely to have a solid colored Bagle Hound. Most Bagle's will have dual and tri-colored coats with white, tan, black, and red being the most common colors. 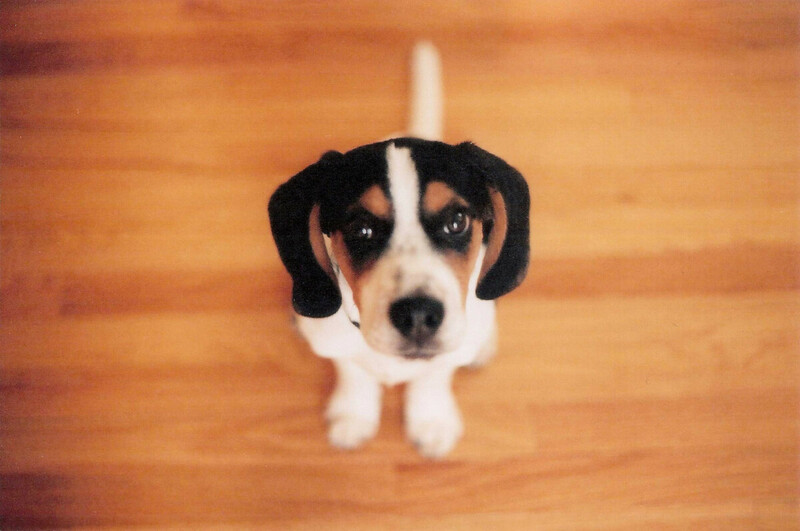 The Bagle Hound's size is dependent upon the size of the Beagle and Basset Hound parents. Since the Basset Hound is a large sized dog you can expect this to be the upper range of the Bagle's size. On average the breed will weigh between 20-65 pounds and stand 12-16 inches tall from ground to shoulder. You can expect the Bagle Hound to be a fairly calm and mild mannered dog breed. The breed should be easy going and will likely prefer resting to exploring. Bagle Hounds will have a strong instinct to follow scents, so they cannot be left unsupervised outside due to the risk of them getting lost or following a scent into a busy street without noticing oncoming traffic. The Bagle Hound's calm temperament makes it an excellent companion for families that have children. However, similar to other breeds, it is important to socialize dogs with children while they are puppies. The Bagle Hound does well with other pets, especially dogs. Smaller pets may be chased or tracked by the Bagle hounds due to their strong hunting instincts. If exposed to an environment where strangers are common, the Bagle Hound should be friendly and very welcoming of just about anyone. Bagle Hounds not used to strangers may be wary and bark at trespassers, but should not become aggressive towards them. 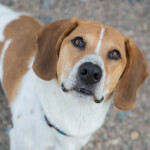 Below are pictures of the Bagle Hound dog breed. The breed is considered a low to medium maintenance dog breed. This makes them a good choice for both new and experienced dog owners. The Bagle Hound's short waterproof coat should make grooming fairly easy. The breed will shed (more heavily in hot climates), so it is recommended to brush the coat twice per week. The breed is considered to be low to medium energy so strenuous exercise is not necessary (especially since the dog's short legs can make it difficult to walk/run long distances). A short walk once per day or a few play sessions is all that's necessary to meet the dog's exercise requirements. The Bagle is best suited for small to medium sized yards, but can also call an apartment home as long as they are able to spend time outside daily. You can expect the Bagle hound to be comfortable in temperatures between 50-85 degrees fahrenheit. They should wear coats in temperatures below 45 degrees fahrenheit and supplied with fresh water and shade in temperatures above 80 degrees fahrenheit. 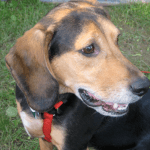 As a hybrid dog breed the Bagle Hound should have more genetic diversity than its parent breeds, however health issues common in both the Beagle and the Basset Hound can also occur in the Bagle. Below are the most likely health issues to watch out for.